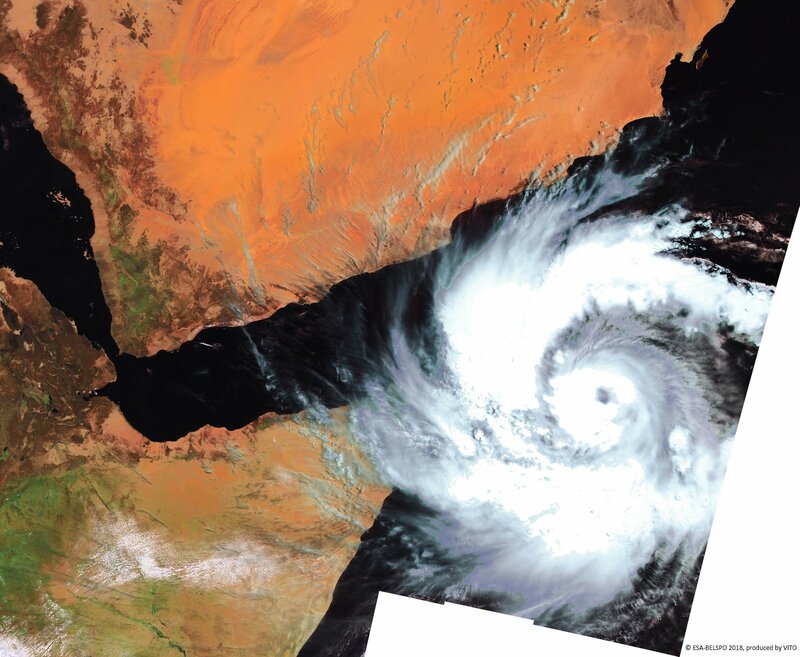 In this image from May 23rd, PROBA-V spotted the tropical cyclone Mekunu as it hit and flooded Socotra Island, before making landfall on the Arabian peninsula, near Salalah, Oman on May 25th 2018. 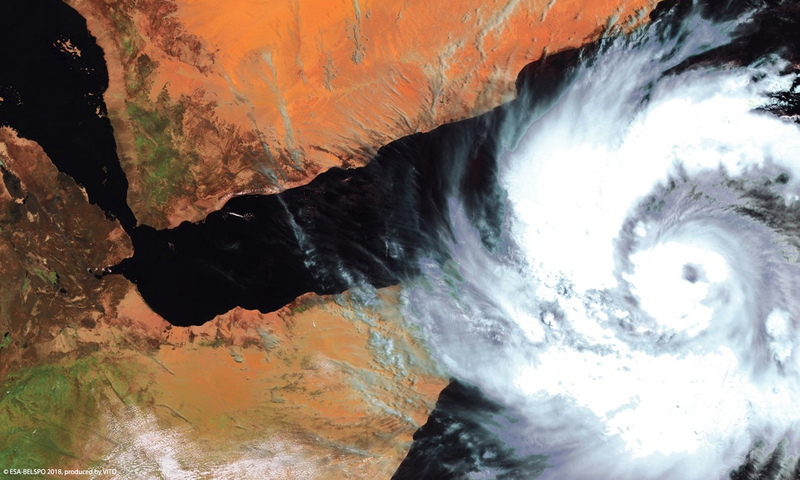 Mekunu caused flash floods and downed power lines, destroyed foodstocks, sunk 120 fishing boats and killed at least 30 people on the island, in Oman and in Yemen by the end of May. Triggering international food, water and sanitation aid efforts in the subsequent days and weeks. Satellite imagery were instrumental in the meteorological alerting, by detecting the formation of the eye, as well as in the rapid impact assessment by United Nations officials. Together with the impact of the on-going conflict in Yemen, it makes us our thoughts and sympathies go out to the many affected households and the vulnerable refugees in the region, commemorated in UN’s World Refugee Day on June 20.